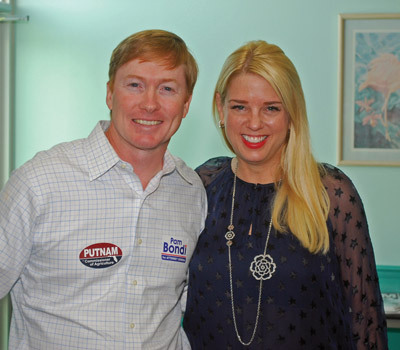 Both Putnam and Bondi, pictured above, have been tabbed by many for higher office in the GOP. Hillsborough County Commissioner Al Higginbotham also spoke at the event. Larry Brigant photos. A visit by leading Republican candidates to Sun City Center on Monday, Oct. 27, was a chance to shake some friendly hands and maybe win some votes, but there was also talk of a possible run for president by former Florida Gov. Jeb Bush. Florida Agriculture Commissioner Adam Putnam, State Attorney General Pam Bondi and County Commissioner Al Higginbotham all turned out for a forum hosted by the local Republican Club of Sun City Center. The story was ignited over the weekend when Jeb Bush’s son said he thought there was a good chance his father would try to win the GOP nomination. Florida Agriculture Commissioner Adam Putnam and State Attorney General Pam Bondi both made a point of courting GOP voters with their stop in Sun City Center. 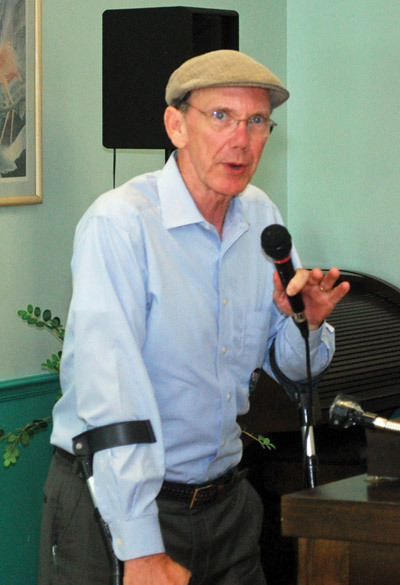 Hillsborough County Commissioner Al Higginbotham also courted local voters at the event.